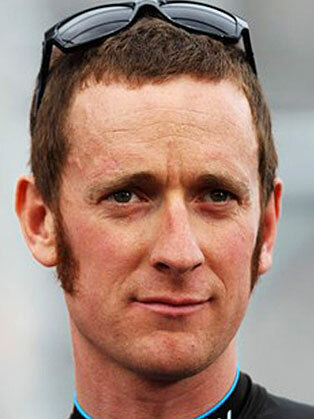 Sir Bradley Wiggins, nicknames “Wiggo” is a British professional road and track-racing cyclist who rides for the UCI Continental team WIGGINS, after leaving Team Sky. Wiggins began his career on the track, but has made the transition to road cycling and is one of the few cyclists to gain significant elite level success in both forms of professional cycling. On the track, Wiggins competed from the early part of his career until 2008. He has won six gold medals at the track world championships. He has also won a gold in the individual pursuit at the 2004 Olympic Games and two golds in the individual and team pursuit at the 2008 Olympic Games. After the 2008 Olympics, Wiggins took a break from the track to focus on the road. Initially viewed as a time trial specialist and as a rouleur, he showed his ability in stage races when he came fourth in the 2009 Tour de France, he was later promoted to third after Lance Armstrong’s results were annulled in 2012. In 2012 Bradley Wiggins became the first British cyclist to win the Tour de France and the time trial at the London 2012 Olympic Games. Following his success in 2012, Wiggins was the subject of several honours and awards including the BBC Sports Personality of the Year Award and a knighthood as part of the 2013 New Year Honours. In 2014 he won gold in the time trial at the 2014 road world championships. In June 2015 he set a new hour record with a distance of 54.526 km. Bradley speaks fluent English and French.